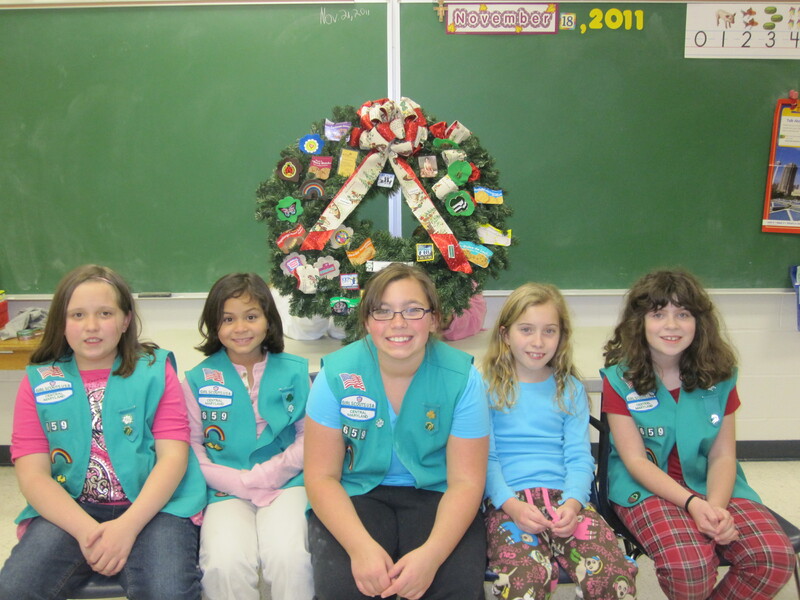 Junior Troop 659 from Westminster participated in the 14th Annual Festival of Wreaths earlier this month. The Girl Scouts decorated a wreath with a Girl Scout theme and donated it to the Carroll County Arts Council, which challenges non-profit organizations to submit their wreaths in the Charity Challenge. At the Festival, wreaths are auctioned off and wreath that earns the highest bid receives a $250 check for their charity. The troop said they enjoyed making the Girl Scout-themed wreath and felt that even if the wreath does not win, it is a great way to get the word out about Girl Scouts.